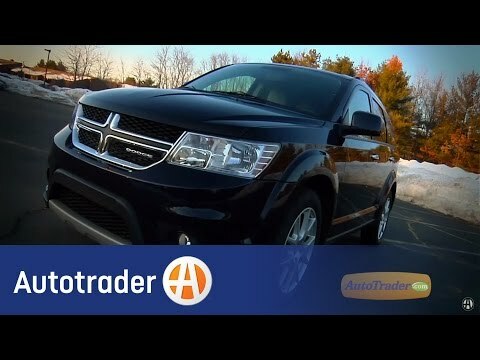 Dodge journey - recommend as a reliable vehicle. We have had our journey for 5 years now and is a 7 passenger vehicle. The reliability of this vehicle has been very good. I would say the only issue we have had is how the tires wear but other than that this vehicle has be very dependable. We have two boys who fit comfortable in the back seats and we also transport out two great Danes around in it. I travel a lot and the journey has not let me down nor has ever stranded me. It is important to have regular maintenance done such as oil changes, tire rotation, and so on. We have a basic model but still enjoy the features that it offers. I would recommend this vehicle to people who travel, have kids, and or pets. Dodge Journey - the most comfortable ride. I love most things about my 2011 Journey. It has developed electrical problems, with things such as the heated seats, and the wiring harness that feeds the rear lights. Also the anti lock brake system is malfunctioning. I bought the car used in 2016. Up until the most recent issues I just described, it has been a very reliable car. The design is very attractive, and it comes in many nice colors. It is one of the few cars available in orange, which was my preferred color. It is very comfortable to ride in, both as the driver or passenger. Dodge Journey is a good vehicle for a family with 2 kids. More than 2 kids, things begin to become a tight squeeze especially because forward facing car seats don't work in the third row. Currently we have two kids and it works awesome. Very roomy with the third seat down. However, with a third on the way, I am not sure if we are going to "try" to make it work or look for something different. We have had the vehicle for two years with minimal issues. We did have to replace brakes and tires.